Today in Masonic history Manuel Luis Quezon y Molina was born in 1878. 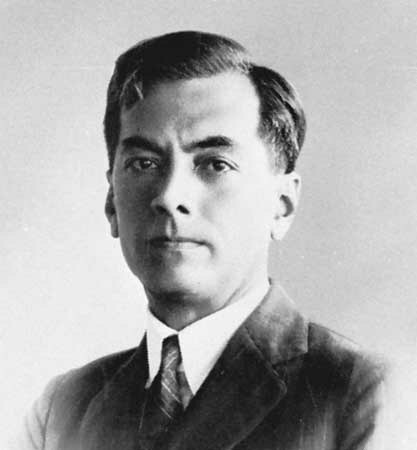 Manuel Luis Quezon y Molina was a Filipino politician. Quezon was born on August 19th, 1878 in Calamba City, Laguna. Both parents were teachers and he had a direct Spanish ancestry. Despite his parents being educators, he received his education through the public schools set up by the Spanish government. His mother would pass away in 1893. His father and brother would be killed in 1898 while returning home. The were attacked by bandits and it is believe that they were killed and robbed or they were targeted for the families allegiance to the Spanish government. In 1900, while attending University Santo Tomás, he would join the fight for independence from the United States. Leaving the university he would become the aide-De-camp of Emilio Aguinaldo. He would rise to the rank of major before the surrender and would return to the university, graduating in 1903. He would be admitted to the bar that same year. In 1907, Quezon would elected to the Philippine Assembly in the House of Representatives. From 1909 to 1916 he would serve as one of two resident commissioners for the Philippines to the United States House of Representatives. There he would lobby for what was known as the Jones Law or the Philippine Autonomy Act, which passed in 1916. Starting in 1916, Quezon would be elected to the Philippine Senate. Shortly after he would be elected by his peers as the President of the Senate. He would serve in that position until 1935, a total of 19 years. In 1934, he would secure the Philippine Independence act in the United States Congress. It would lead to the establishment of the 1935 Philippine Constitution. In 1935, Quezon won the first Philippine Presidential election making him the second President of the Philippines after Aguinaldo. Although a 2008 a bill was introduced in the Philippine House of Representatives seeking to name General Miguel Malvar as the second president since he directly succeeded Aguinaldo. Quezon would serve as President until 1941 when he, by the Philippine Constitution, was required to step down. However in 1940, amendments were ratified that allowed him to see re-election for a shortened term. He would be re-elected in 1941 by a landslide. After World War II broke out, Quezon was forced to leave the Philippines and eventually established his exile government in Washington, D.C. Quezon would work closely with President Franklin Delano Roosevelt. Quezon would tour the country giving inspirational speeches and reminding Americans about the Philippines. In 1943, Quezon was reminded by his Vice President that he was required to step down from the Presidency per the Constitution. This began a battle between the two men to determine who would be the President of the Philippines. Quezon felt that a change of leadership during an exile government would cause more problems. Eventually a compromise was reached and it was agreed that Quezon would remain as President until after the Philippines had been liberated. Quezon suffered from tuberculosis and spent his final years in and out of hospitals. In the summer of 1944, Quezon was at a "cure cottage" in Saranac Lake, New York. He would pass away there August 1st, 1944. Quezon was a member of Sinukuan Lodge No. 272 (renamed Sinukuan Lodge No. 16) in the Philippines.